This is a man sport watch, 3ATM water-resistant. Made from mineral glass mirror and quartz movement. 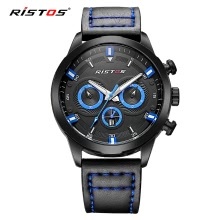 It has luminous function with which you can see the time clearly even at night. It has small decorative dials inside, very fashion. Luminous function can make you see the time clearly even at night. With small decorative dials inside.